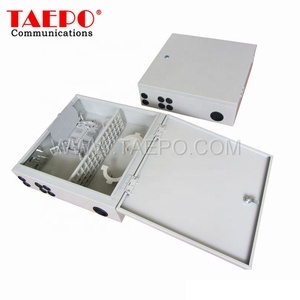 Rear cover can be opened, convenient for cable management. 12pcs adapter plates, each 8 ports 4pcs splice trays, each 24 fibers. Gray, white, black color for choice. 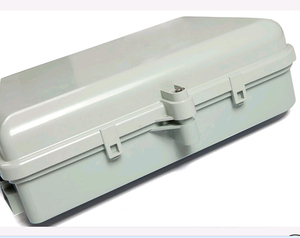 3 This distribution box is made of high quality plastic, 4.Applicable to single core terminal protection. 5.Used for consistency between outdoor cable and exchange cabinet pigtails. 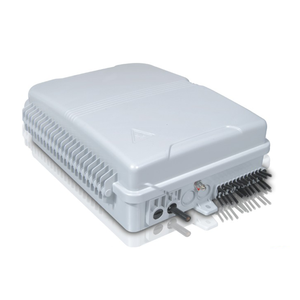 7.Light weight, small size, easy installation,provide splice, connection, protection of fiber cable and pigtail. 2.Features The material is engineering plastic of high quality and it can be used for indoor,outdoor. Available to meet the cut connection function for the live cable. 3.Application Outdoor environment,IP55 Wall mount; pole mount Comprehensive computer network engineering. 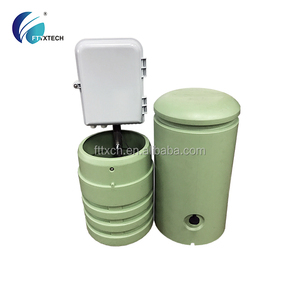 FTTH mode of fiber opitc distribution box is a newly developed by our company for application of FTTH. 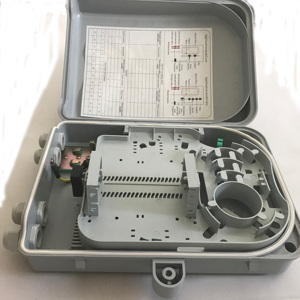 The box is light and compact, especially suitable for protective connection of fiber calbes and pigtials in FTTH. 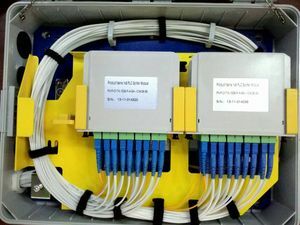 Application Widely used in FTTX access network; Telecommunication Networks; CATV networks; Data communications networks; Local Area Networks. 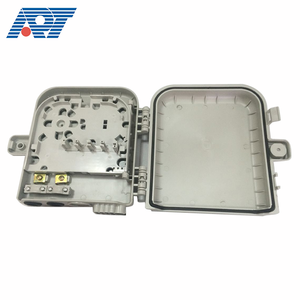 6 core/12 Core FDB Outdoor Optical Fiber Terminal/distribution Box Optic fiber boxes is applicable PLC coupler to a terminal access links FTTH access system. Features 1. 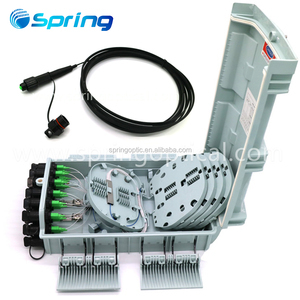 The two-tier structure, the upper wiring layer optical splitter, lower for fiber splicing layer. Lead time With more than 200 employees in my company,at least 10,000 connectors can be produced. 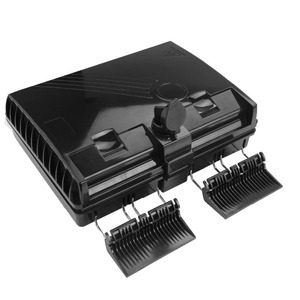 4.Adapter slots used &ndash; No screws and tools needed for installing adapters. 5.Ready for splitters: designed space for adding splitters. 11.Max allowance for entry cables: max diameter 15mm, up to 2 cables. Alibaba.com offers 13,792 distribution box fibers products. About 86% of these are fiber optic equipment, 1% are packaging boxes. A wide variety of distribution box fibers options are available to you, such as free samples, paid samples. 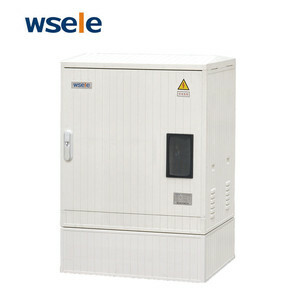 There are 13,798 distribution box fibers suppliers, mainly located in Asia. The top supplying countries are China (Mainland), Poland, and Taiwan, which supply 99%, 1%, and 1% of distribution box fibers respectively. 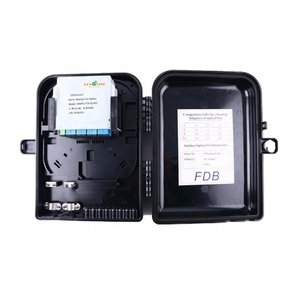 Distribution box fibers products are most popular in South America, North America, and Eastern Europe. You can ensure product safety by selecting from certified suppliers, including 4,749 with ISO9001, 698 with Other, and 670 with ISO14001 certification.